Cross another bucket list item off my list - taking the ferry from Victoria to Port Angeles. Yes, it isn't Machu Picchu, but hey, I've always wanted to do it. Other than some rough waters on a smaller ferry, the ride was pleasant and we spotted some Orcas too! Once off the boat, we made a beeline to Bremerton since I've always wanted to see what was on the other side of Puget Sound. 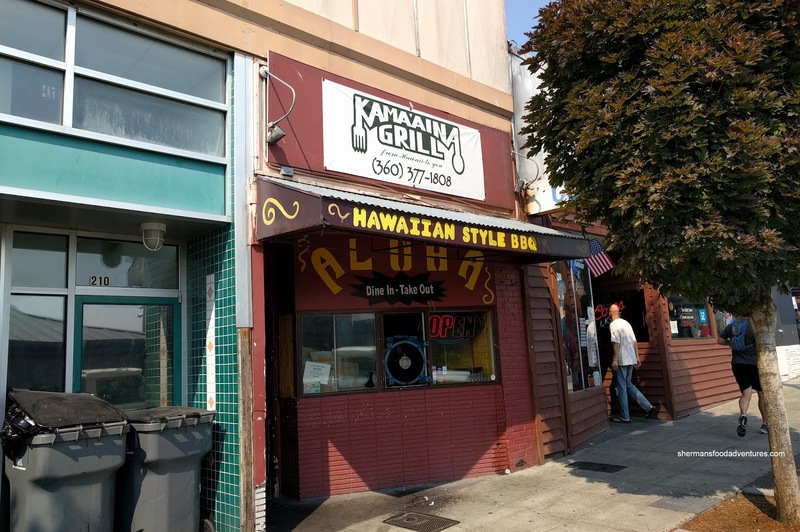 Originally, we wanted to try Hi-Lo's, but they were closed due to hot weather. So we decided to try Kama'Aina Grill instead, which to our discovery, didn't have any A/C! Let's just say we felt like we were the food baking inside! 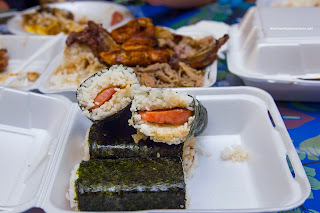 Of course, any visit to a Hawaiian restaurant would not be complete without some Spam Musubi. We got 4 of these babies at $2.00 a pop. When they arrived, we were rather taken aback at the size. 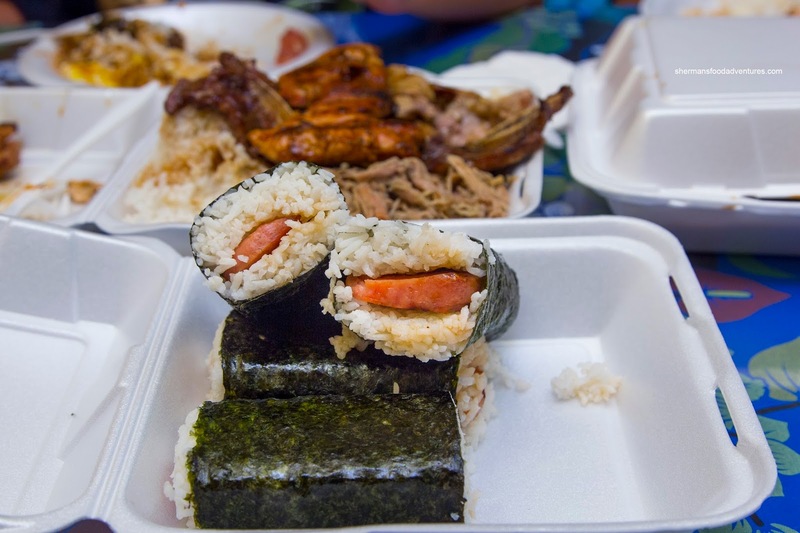 For me personally, I wasn't fond of all of the rice since it put the Spam-rice ratio off. Secondly, the rice was not sushi rice where the texture was chewy and drier. Whatever the case, it did the job and wasn't offensive. Viv decided to order the 1/2 lb. Tuna Poke and if you are wondering why the food was in Styrofoam containers, it's because they didn't have actual plates nor cutlery. 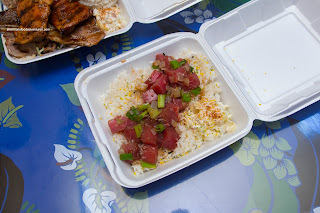 As for the poke, it featured large cubes of Ahi tuna that were firm and fresh. The light saltiness kept the natural flavours alive and the sesame oil provided aromatics. On the side, the mac salad was too saucy and too soft for our liking. My son has had his fair share of Hawaiian eats on our visit to the islands a few years ago and he chose his favorite being the Loco Moco. This featured 2 large handmade beef patties which were aggressively seared. Hence they were smoky and caramelized. Despite this, the meat was still fairly moist while being lean. 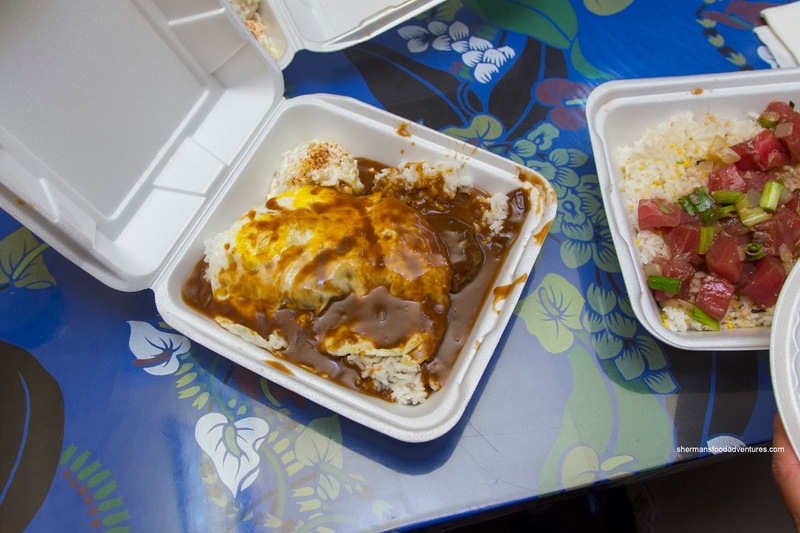 The obscene amount of gravy was a bit salty, but really helped flavor both the meat and rice. On top, we found 2 over-easy eggs that were still runny. 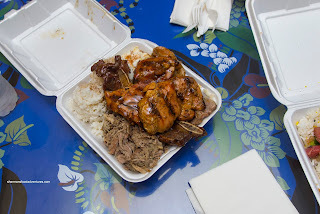 For myself, I went for the Sumo Mixed Plate consisting of Huli chicken, beef short rib, BBQ beef and Kalua pork. On the menu, there was Portuguese sausage, but we didn't get any. We thought the pork was delicious being moist and well-seasoned. The short rib was too chewy while the chicken was tender and moist. 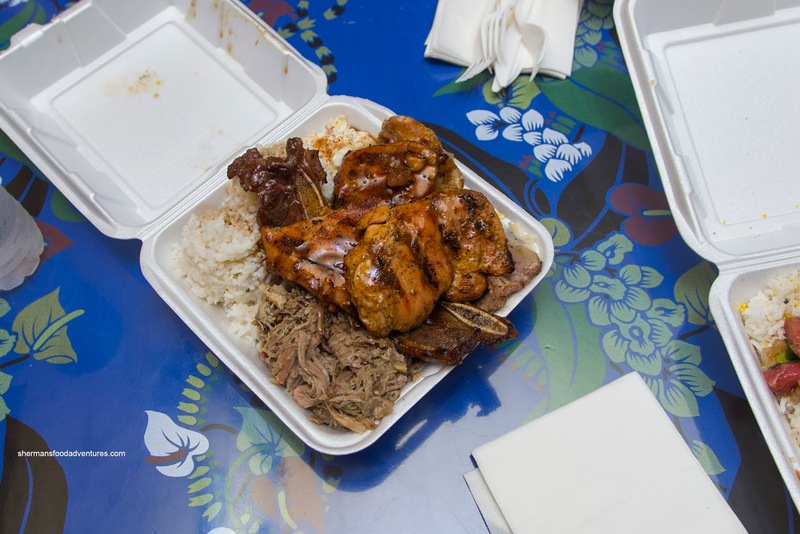 Overall, we thought the food at Kama'Aina serviceable, but with a few issues. Yet, for the price, we weren't really complaining.